After the Union tour, Wakeman, Bruford, and Howe left the unwieldy group of eight, leaving behind the 90125 formation of Yes. Rabin wanted to reintroduce Yes to the 1990's with a leaner, more guitar-oriented style. In taking this role, Rabin ensured that he would have a hand in every song on the album Talk, released in 1994. 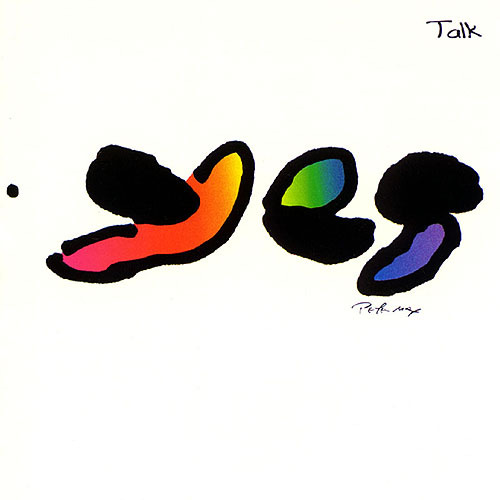 The results were surprisingly better than expected for the Rabin version of Yes. This sounded only vaguely similar to their previous works of Big Generator and 90125. Talk was also many miles better than the terrible Union album of 1991. Much of Talk is again radio friendly AOR material, but it has a good number of longer tracks. Some of these are not very memorable and a few are easily "skippable" events on your CD player. Rabin's guitar work is probably at the best it has ever been. Many of the solos are reminiscent of his Can't Look Away solo album from 1989. He certainly has come a long way from 90125. The best and most creative song on the album is the three-part Endless Dream, timing in at over 15 minutes. It is the answer to what would a Trevor Rabin prog rock song sound like. In my opinion it's the best song under the Yes moniker since the Drama album. Endless Dream unfortunately does not save Talk from various levels of mediocrity from the shorter material. But it does keep it from being a one-star or two-star affair. Fans of classic Yes will probably not like this album. Fans of the 1980s Yes might like some of it. Die-hard Yes fans will have mixed feelings, some enjoying it, some not. A mixed bag. I think it's fairly good, but not a chance at being essential in any way. Three stars.